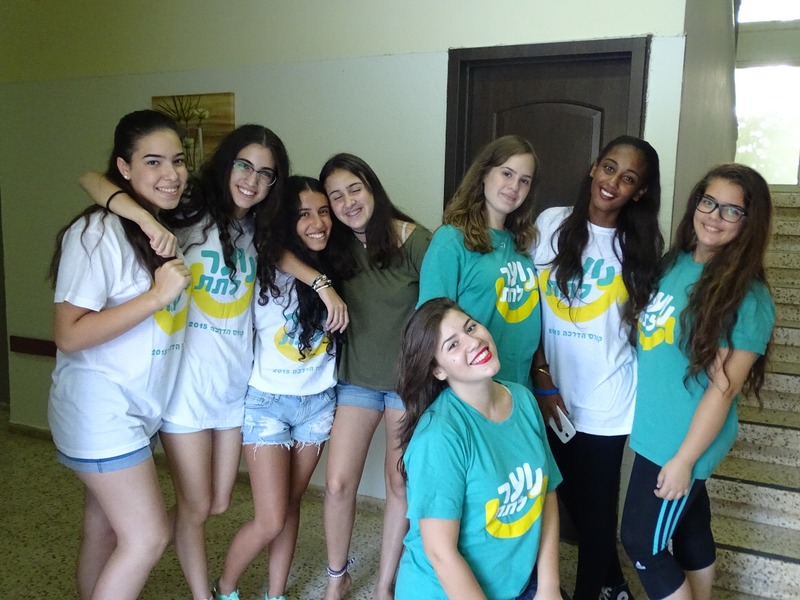 Latet is combating poverty in Israel! Poverty in Israel is a significant problem, but the issue is often unspoken of – or worst - unknown to the public, especially the Jewish communities abroad. According to the National Insurance Institute’s 2018 data, 21.2% of the Israeli population lives in poverty. As if this was not alarming enough, the statistics are even more dreadful when speaking about children living in poverty: 29.6% of the population (almost 1 in every 3 children). Poverty in Israel particularly affects single mothers, elderly, Orthodox Jewish communities and Arab communities. Against popular belief, poverty is not only associated with people who grew up in low socioeconomic environment and remain with that socioeconomic status for their whole life. Results from a survey of Latet’s aid recipients found that almost half of the aid recipients (who by definition are poor) defined themselves as belonging to the middle class in recent years, before deteriorating to poverty (according to Latet’s 2017 Alternative Poverty Report). Who should handle poverty issues in Israel? Even with the government’s intervention and redistribution of resources, poverty rates in Israel rank the country at the bottom of the list of OECD countries in terms of poverty. Latet, the leading NGO combating poverty in Israel, believes the inherent duty of the Israeli government is to place social inequalities and poverty issues at the top of the national agenda. Sadly, although the government should be the main factor responsible for reducing poverty, Israeli governments have not taken consistent steps to solve this problem and the role of providing assistance to people considered as poor in Israel mainly falls on Israeli charitable organizations. 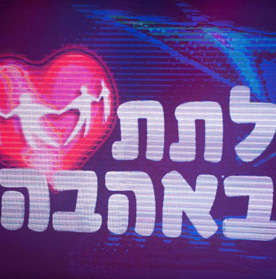 Those charity organizations in Israel rely mainly on donations and involvement from civil society and business sector. Latet - Ending poverty together! Hunger in Israel (i.e. food insecurity) is the most severe indicator of poverty. It is notable mainly in the lack of economic ability and regular access to basic and high quality nutrition required for a proper and balanced existence. The Nutritional Security Initiative provides a unique solution to the problem of hunger in Israel: acting as an umbrella organization for 180 local associations, Latet operates the leading Israeli food bank and distributes $25-30M worth of food to poor people in Israel (200,000 individuals). To fulfill the purpose of the program (that is, reduce hunger in Israel), Latet collects food from different sources: food rescue directly from food manufacturers and retailers (about 80% of the total food distribution), food purchase and national food drives. 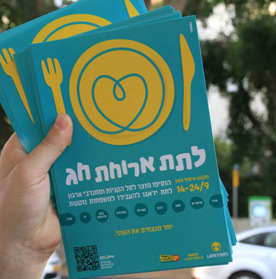 Latet diligently works to raise public awareness within Israeli society, and abroad, about the issue of hunger in Israel and poverty in Israel. Poverty in Israel touches people from all ages and backgrounds, and one of the most vulnerable populations is the elderly. Among them, 45,000 Holocaust survivors live in Israel in poverty (1 in every 4). Latet’s Aid for Life program provides Holocaust survivors living in poverty in Israel with a comprehensive aid package that includes a monthly food box, emergency fund for paramedical needs, home restorations as well as social support in the form of personal volunteer and social events throughout the year. This program was born out of the understanding that the survivors living in poverty in Israel deserve and require immediate response to their needs, in order to live out their remaining days with dignity and security. Raising awareness to the issue of poverty! ***Alternative Poverty Report - an annual report which sheds light on the most up-to-date trends in poverty and hunger in Israel. This report is a multidimensional analysis of what poverty in Israel is. It reflects the human aspect of poverty and presents alternative numbers in contrast to the narrow definition of poverty by the National Insurance Institute of Israel. The Multidimensional Poverty Index used in the report determines poverty as a person’s degree of deficiency in relation to five components that constitute a person’s welfare: housing, education, health, food security and cost of living. ***Poverty conference: this annual conference is one of the most prominent events related to poverty in Israel and social gaps, and brings discussions about solutions for reducing poverty in Israel. ***Positions papers and law proposals calling the government to take action, to formulate a plan to reduce poverty and food insecurity in Israel with a concrete and measurable goal. ***Creating dialogue on this issue through large-scale public displays placed in public spaces, thousands of volunteers who spread the word, and more. A concert to raise money for "Families Supporting Families"
A big thank you to our thousands of amazing volunteers ! A special thanks to the 1,200 volunteers who came to our Latet Carnival. Campaign LATET holiday meals is aimed at raising contributions of holiday meals for needy families. Our young volunteers at Supersal! 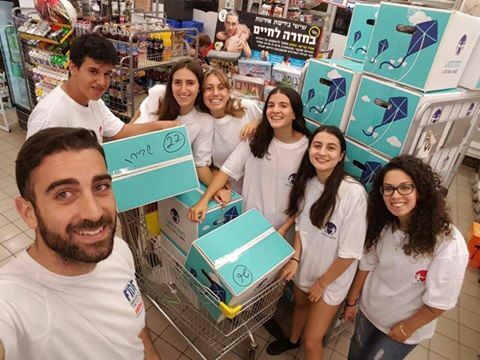 Volunteers from all over Israel scattered in Supersal's various branches to collect food. Almog is young, full of life and determined to build herself a better future. Watch her tell her story.